Home > Coming Events, New World Order	> What is the underlying meaning? What is the underlying meaning? 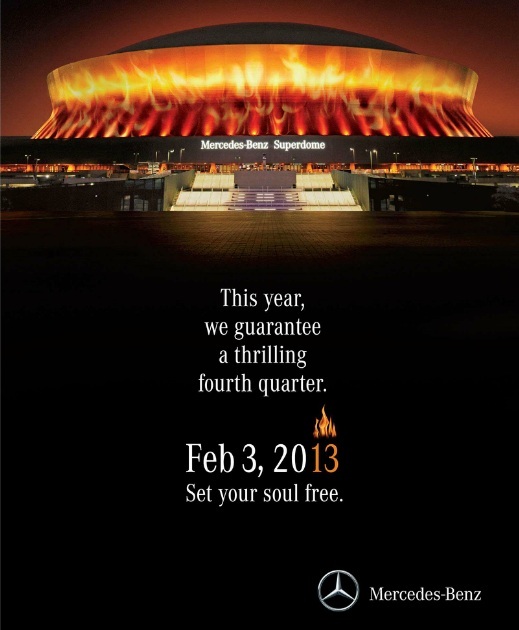 This was the poster for Superbowl XLVII in New Orleans 2013. The Illuminati has been known to place hidden messages in the mainstream while carrying out plans on their agenda. Observing the poster from top to bottom, the Superdome is on fire-illuminated with a orange glow cast around it as it consumes the upper 1/5 of the poster area. It states ” This year, we guarantee a thrilling fourth quarter.” What does that mean? The words utilized honestly startled me as it says “We Guarantee” as in plural in number of persons will most assuredly do, “A thrilling” which means to cause to feel a sudden intense sensation, and “Fourth quarter” which could possibly mean October, November, December. The date also draws to interest- Feb 3, 2013. 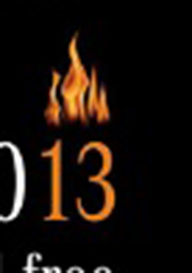 The 13 is highlighted in orange with a flame on top of it. Observing it closer 13 is a very significant number for the Illuminati as if you were to turn your dollar bill to the rear-on the great seal you will see the great pyramid with 13 steps reaching to the illuminated all seeing eye on top. This poster depicts the number 13 with a triangular flame on top! The Illuminati is also said to be run by 13 families. The number 13 means Death and Rebirth, Completion and Perfection, and beginning and the end. Finally “Set your soul free” as in to remove your life. I have no idea as for what could happen: Stock Market falls, a nuclear incident, a terroristic event, or something that involves our GOVERNMENT utilizing the 1.4 Billion rounds of Ammo to put people in the Millions of Body bags that were ordered. Folks just be watchful and stay in prayer. Remember God has ALL POWER!